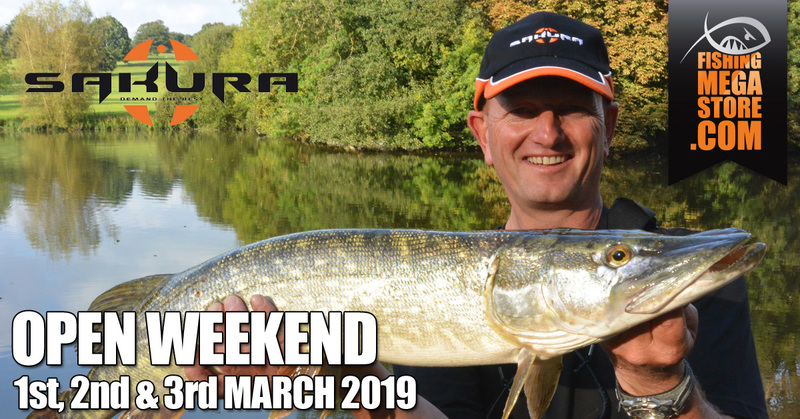 Meet Steve Souter from Abu Garcia and Penn at the Glasgow Angling Centre March 2019 Open Weekend. Steve is a Sea Fishing Consultant and Pro Team member for Abu and Penn and will be available at the Open Weekend to promote the fantastic range of Boat Rods, Multipliers, Fixed Spool Reels and more from each brand. He will also be helping and advising customers about all aspects of sea fishing, rig making, bait strategy and sea fishing tactics. Steve is primarily a boat and shore saltwater match angler and will fish for anything in competitions, but he particularly enjoys bream fishing from the boat, and cod and flounders from the shore. His favourite area to fish is the West side of the Isle of Lewis in the north of the country and Weymouth on the South Coast. For generations, anglers the world over have put their trust in Abu Garcia for tackle that stands their toughest tests. It's a trust that's been earned by building products right the first time, and making them even better time after time. There really is something for everyone at these events, that's why they are the biggest in Scotland - and this one promises to be the biggest ever! 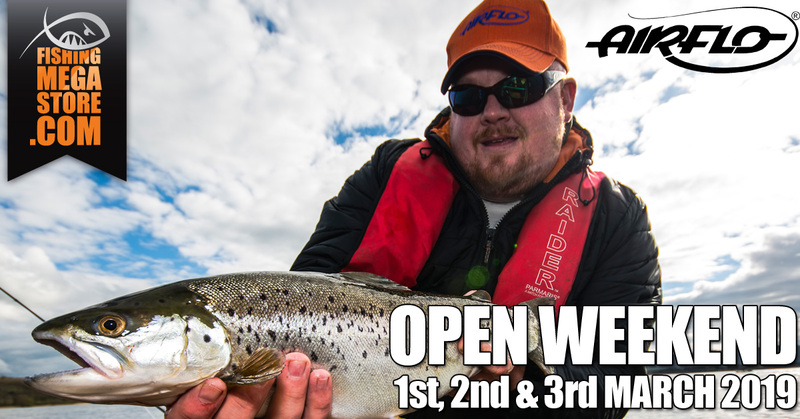 With FREE parking and FREE entry, there will be loads of things to see and do on the Open Weekend dates as well as some amazing bargains on all types of fishing tackle. Keep an eye out on Facebook, Twitter and instore for more info on what's going on at the event! Plus don't forget to register for your FREE GIFT! Click HERE for details! 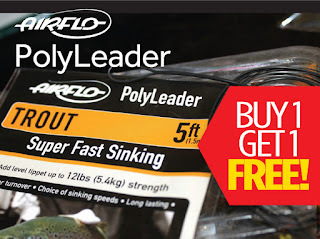 Posted by Fishingmegastore at 16:27 0 Comments - Click Here to Comment! 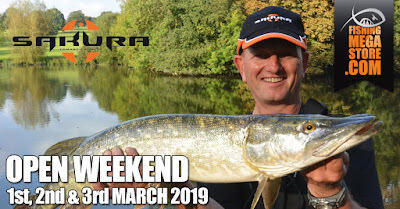 Come and meet Darren Cox from Sakura at the March 2019 Open Weekend. Darren is the UK General Manager for Sert which includes Garbalino and Sakura. Darren will be helping and advising customers about all aspects of fishing, including match, feeder, lure fishing, and predator fishing. Darren will also be promoting the Sakura range of rods, reels and lures instore. Darren specialises in competition match and feeder fishing and has represented England for 13 years at European and World level. 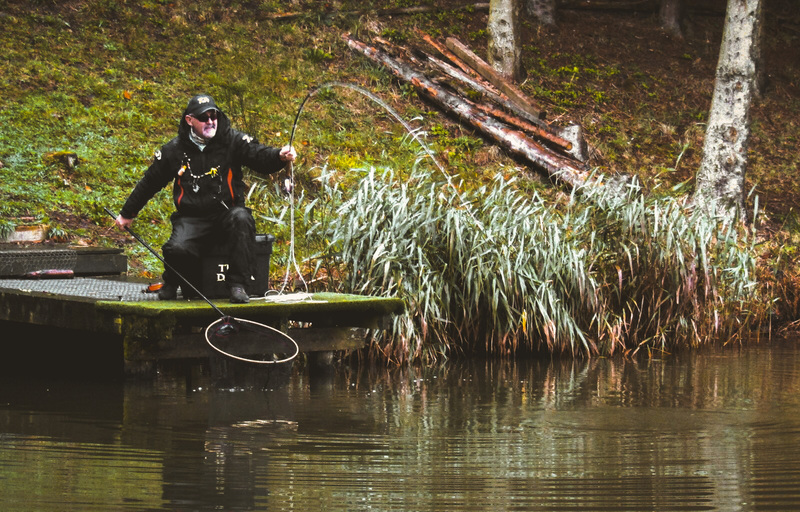 He is regarded as one of the UK's best all-round match anglers, and whether it's rivers, lakes or canals, he can turn his hand to it all. He also likes to fish for Bonefish and freshwater Bream and is a long standing member of the Pike Fly Fishing Association. 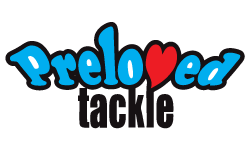 Sakura is French brand specialising in lure fishing tackle. 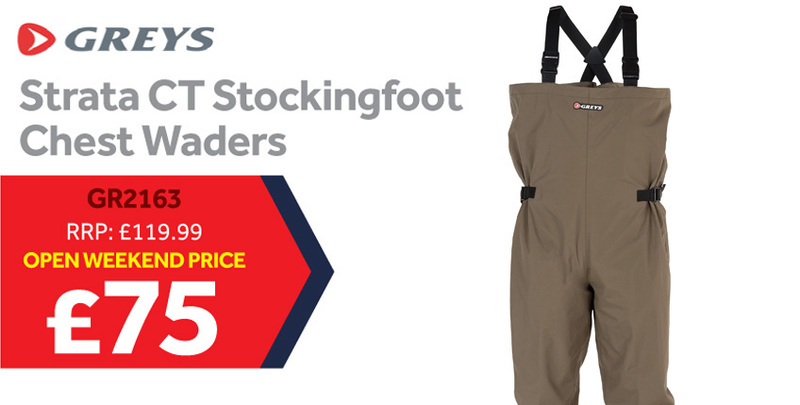 Their product range includes fishing rods, reels, lines, lures, accessories, tackle boxes, clothing, terminal tackle, jig heads and much more. They design, select and sell to retailers and distributors of fishing equipment all over the world. Their slogan, "passion for fishing with lures," says it all. Sakura's portfolio of brands include Sert, Katusha, Anatec, Yamamoto, Garbonlino, Prowess, Sunset, Biwaa and Fuji. Sakura also have a team of pro guides and product developers who keep pushing the boundaries and moving the brand forward. They have won best new product awards at EFFTEX for their line of lures and lure rods. Posted by Fishingmegastore at 14:43 0 Comments - Click Here to Comment! 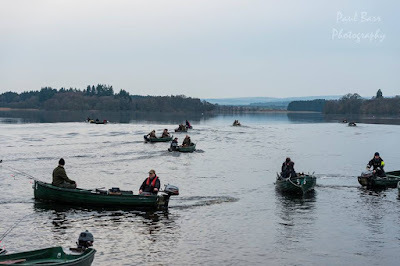 Come and meet Quint Glen and the team from the Lake of Menteith at the Glasgow Angling Centre March 2019 Open Weekend. Quint will be available over the weekend to promote the fishery, chat to customers, offering advice and will be handing out the new Lake of Monteith brochure. Quint will also be running a quiz and all the correct entries will go into a draw for free fishing on the Lake. The 700 acre Lake of Menteith is the main venue for the National Fly fishing Championships in Scotland. 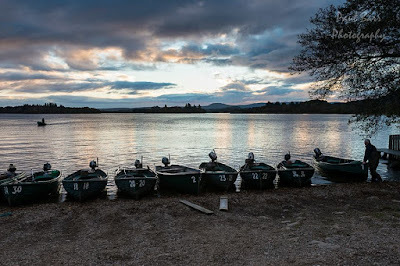 The Lake is stocked weekly with an even distribution by boat, with top quality rainbow and brown trout that are reared in the location by Lake Staff. The 34 strong fleet of well maintained boats is equipped with reliable outboards, oars, landing nets and drogues. More boats can be made available for major events. The large fishery cabin has a permit office and tackle shop with a good range of flies and tippets. There is also a snack bar (open before sessions and sells snacks and hot rolls and tea/coffee) and large covered weigh in area and howff with a log burner and wash room facilities. Lake is a natural and mesotrophic body of water and is also a site of special Scientific Interest due to the exceptional flora and fauna. Historically the Lake has much to offer, with the impressive and peaceful ruins of the 13th century Inchmahome Priory on the largest of the Lake’s three Islands. Posted by Fishingmegastore at 14:05 0 Comments - Click Here to Comment! 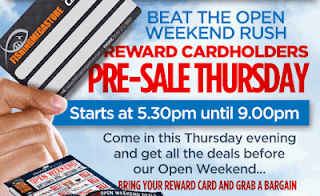 Fishingmegastore Reward Card Members Only Pre-Sale @GAC Thursday 28th of March 2019! 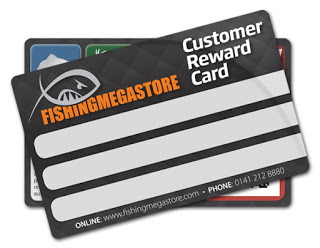 As a special thank-you to all our loyal shop customers who joined our rewards Reward Card Scheme, we will be offering all of our Spring 2019 Open Weekend deals a day early to all of our Fishingmegastore Reward Card holders! Join the 1000's of customers already reaping the Reward Card benefits! 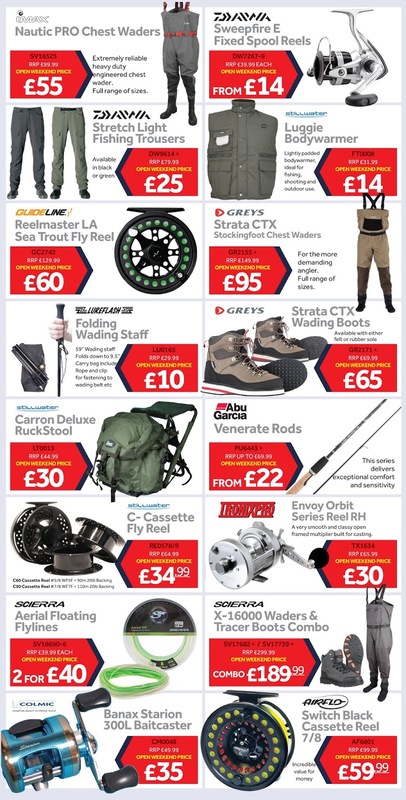 From 5.30pm until 9pm on Thursday the 28th of March 2019, Fishingmegastore Reward Card holders who come to the store will beat the crowds and still qualify for all of our amazing deals and offers that we were keeping for the weekend! Even if you haven't received your card in the post yet, simply show a staff member a recent receipt with your unique barcode on it, and they can quickly verify your membership so you can qualify for all the deals! 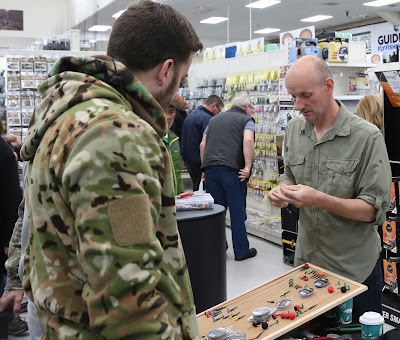 Over 75,000 of our customers are already benefiting from the scheme by earning points every time they shop with us that soon add up to money off future tackle purchases! Don't have a Reward Card yet? You still have time to sign up, just ask any member of staff instore any time or apply online HERE! 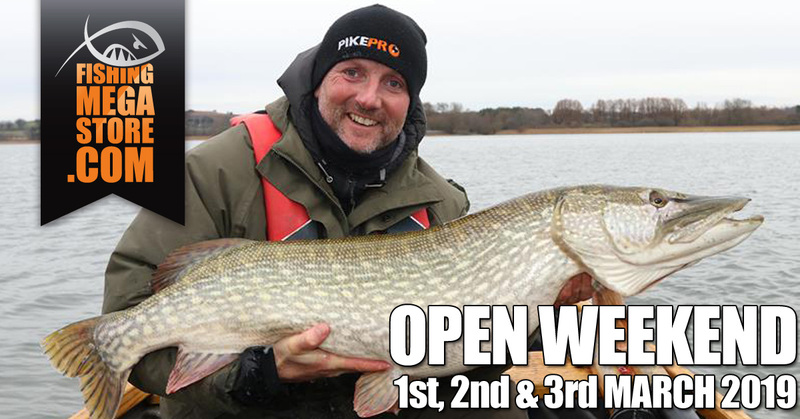 Beat the crowds and still benefit from the Autumn Open Weekend deals, plus you never know what angling celebrities just might be hanging around, setting up for this weekend's big event! See below for just a few of the hundreds of deals on offer. We will be giving Reward Card holders exclusive early access from 5.30pm until 9pm on Thursday the 28th of March 2019, and of course, these offers will be available to all of our customers instore on the Friday, Saturday and Sunday of the Open Weekend Event.  This is an addition to demonstrations, tuition and previews of this year's up and coming products from all the big suppliers in what has become the UK's largest FREE angling event! 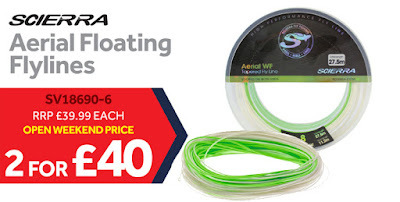 Posted by Fishingmegastore at 13:20 0 Comments - Click Here to Comment! Come and meet Jim Fearn from Rio Fly Fishing at the March 2019 Open Weekend. 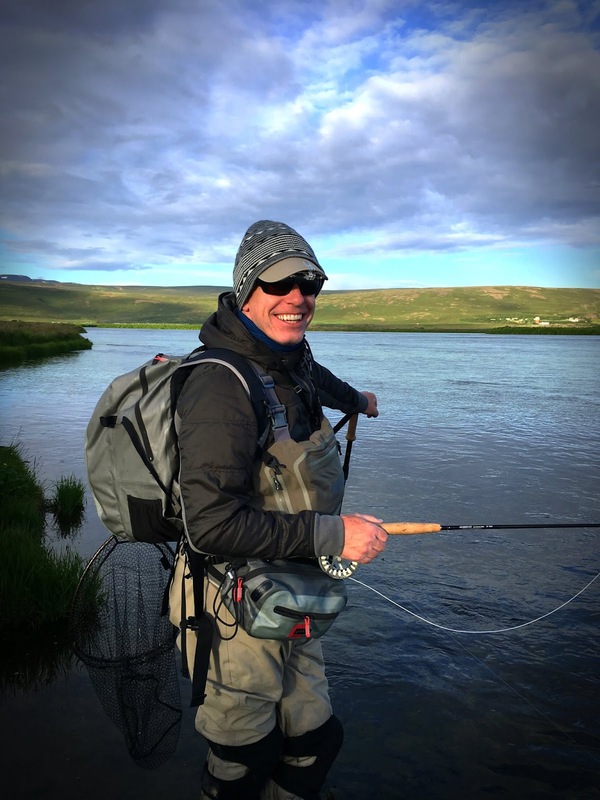 Jim works as a product developer for Guide Fly fishing which encompasses brands such as Rio, Vision, and Sage. Jim is experienced in both single and double hand casting techniques and is an AAPGAI qualified instructor. He is also a Rio Pro-Guide and can offer tuition at all levels of salmon fishing and casting using Spey lines shooting heads, right through to skagit lines. So if you are looking for a new salmon rod, or fly line, Jim will be able to offer you tips and advice on all the fantastic products in the Rio and Sage range. 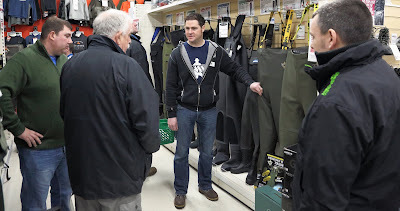 You can even try the gear out under the watchful eye of Jim himself. For more than 20 years, RIO has demonstrated passion, innovation and a pure love for the sport through its development of the industry's highest performance fly lines. And the great news is, they continue to research, design and refine their products to ensure they are your preferred line of choice for years to come. At Sage, every piece of angling equipment they make is designed, tested and hand built with one goal in mind: Maximum Fishability. It's a term they came up with a few years back to describe the kind of performance that helps you cast better, fish more effectively and have more fun. In short, every Sage rod, reel and line is specifically designed to help you make the most of your precious time on the water. Posted by Fishingmegastore at 11:19 0 Comments - Click Here to Comment! Come and meet Robbie Northman from Savage Gear at the March 2019 Open Weekend. 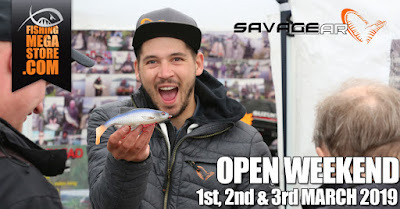 Robbie is a consultant with Savage Gear and will be available throughout the weekend helping and advising customers about the Savage Gear product range. He will also be offering tips and demonstrating his lure fishing skills in our lure tank. 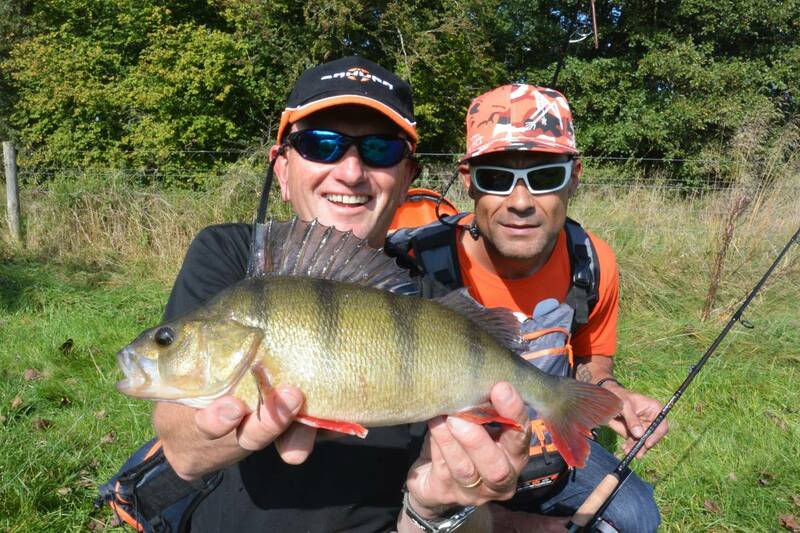 Robbie is predominantly a lure fishing expert but he does enjoy other styles of fishing, and he regularly chases after chub and perch all over the UK. 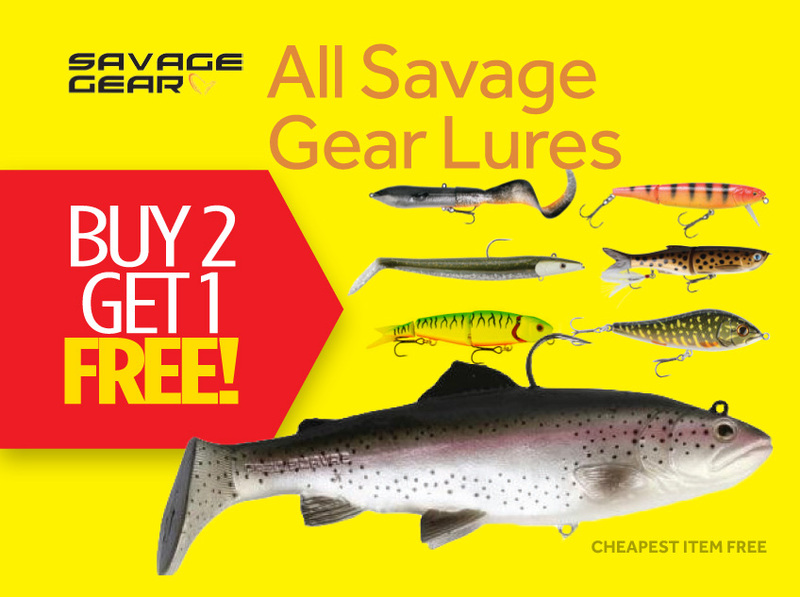 His preferred style of fishing is using hard lures and soft lures, so if you need advice about any of the fantastic lures in the savage gear range, and how to fish them successfully, Robbie is the best man to ask. 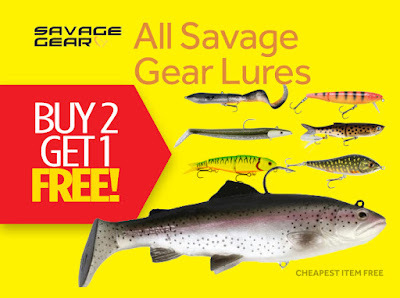 And if you are looking for a bargain on Savage Gear Lures, don't forget that this weekend only you can buy two get one free. The backbone of Savage Gear is the result of the significant work done by product manager Mads Grosell. Local experts from central Europe, as well as Scandinavia, have developed and tested Savage Gear products and their product design and development scheme is acclaimed to be the most innovative set-up in the fishing tackle trade. The end product is a line of innovative quality soft lures, uniquely developed without lead and an environmentally friendly plastic softener. Posted by Fishingmegastore at 10:31 0 Comments - Click Here to Comment! 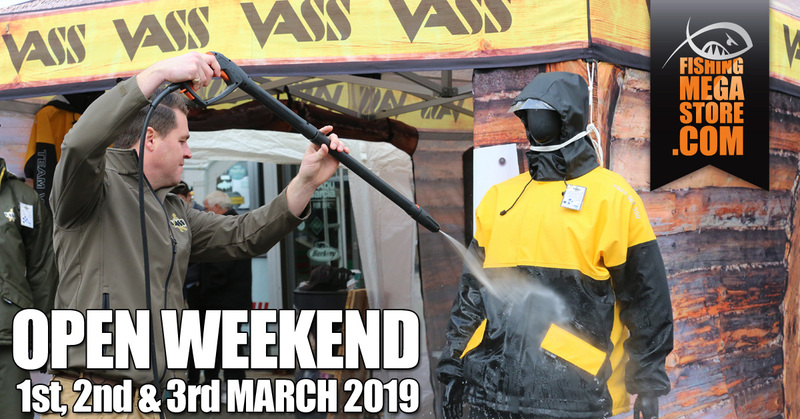 Meet Chris Hvass from Vass at the Glasgow Angling Centre March 2019 Open Weekend. Chris is the Technical Sales Director for Vass, a family owned, British company manufacturing and supplying the very highest quality advanced waterproof clothing and waders. From a research and development perspective, Vass have utilised the very latest technology to create a new generation of materials that can stand up to the rigours of modern day angling. One such material is Poratex Excel, a membrane which allows the body to breath but is extremely wind and rain proof. Poratex offers water resistance to 5000mm and breathability to 5000mvp and is found in Vass jackets and trousers. Vass are based in Milton Keynes, Buckinghamshire, and have quickly established themselves as a market leader in the fishing industry and fishing tackle trade. 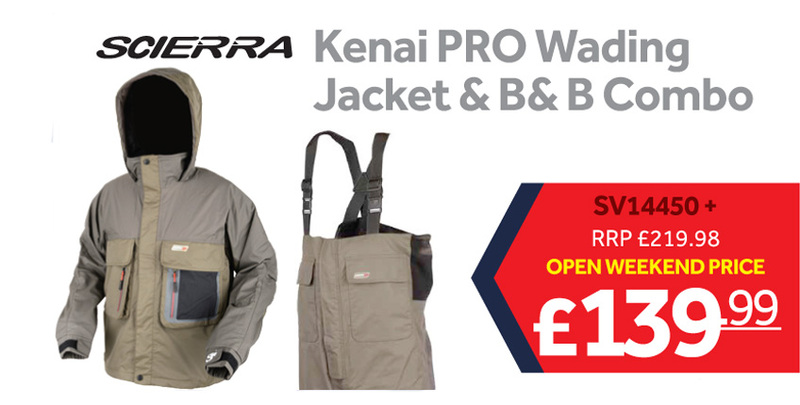 Their popularity as a brand has grown significantly as they now supply waterproof clothing to Sea Fishing Teams, Carp anglers and anglers of all walks life. 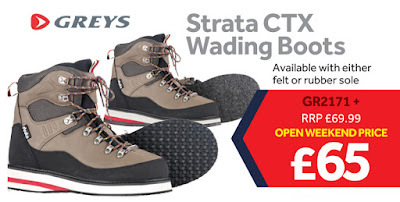 This popularity is down to a very simple formula: very durable yet extremely waterproof and windproof materials that offer great value for money. 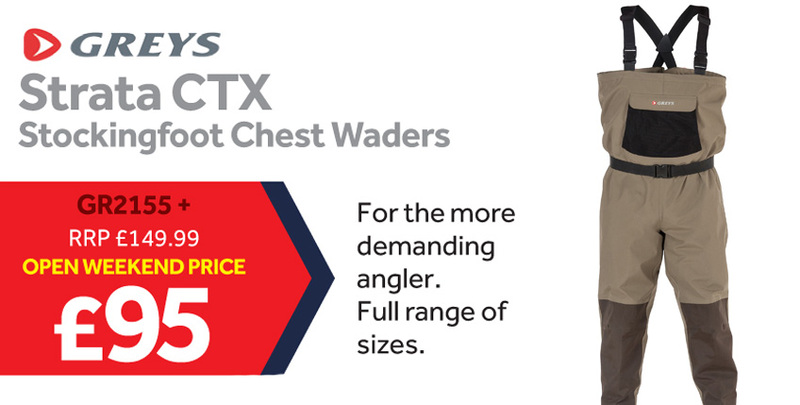 At the Open Weekend, Chris will be showcasing the new Vass-Tex 350 Light Chest Waders, the Vass Children's wear range, and the Vass-Tex 305 Breathable Chest Waders with neoprene stockingfoot. He will also be highlighting the durability and waterproofing of the fabrics in the Vass range by demonstrating a variety of stress tests, as well as providing loads of helpful information about the materials and techniques used in the manufacturing process. Make no mistake. Vass clothing is seriously waterproof and it is no surprise that the brand is becoming so popular. 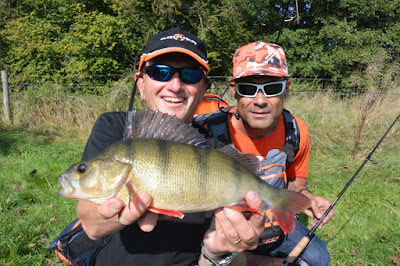 Posted by Fishingmegastore at 16:54 0 Comments - Click Here to Comment! 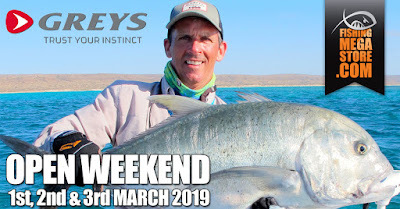 Come and meet Stevie Reid from Greys at the March 2019 Open Weekend. 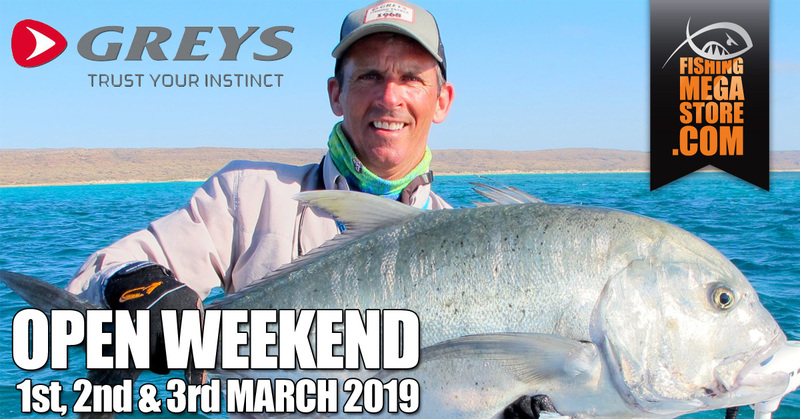 Stevie is a consultant and Pro Team Member for Greys Fly Fishing and will be available at the event to help and advise customers about all aspects of fly fishing, casting, and the whole Greys product range. Over the 3 day event, Stevie will also be showcasing his casting skills and will be demonstrating a variety of single and double hand techniques. He will also be promoting the new Greys GR60 range of single and double handers as well as the Greys GTS Fly Reels. Stevie is a passionate angler with a wealth of experience under his belt. He is also very helpful and enthusiastic, and is always happy to help with your questions and casting problems. 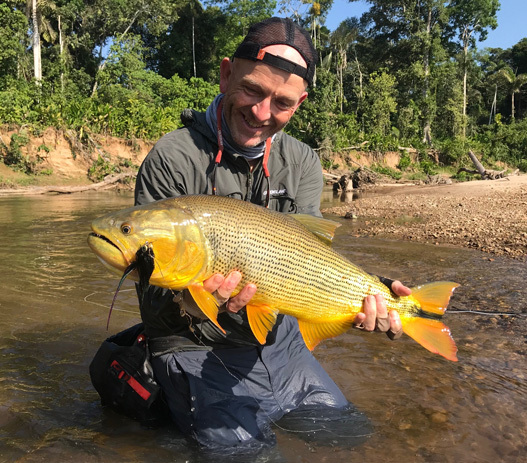 He has owned his own fishery and is currently a UK Ambassador for Getaway Fly Fishing who specialise in destination fishing. You will find him chasing salmon on the big Scottish rivers, trout in rivers and lochs, and Giant Trevally, Trigger Fish and Tarpon all over the world. He is also an AAPGAI advanced single and double hand casting instructor and also a qualified SGAIC casting instructor. There really is something for everyone at these events, that's why they are the biggest in Scotland - and this one promises to be the biggest ever! 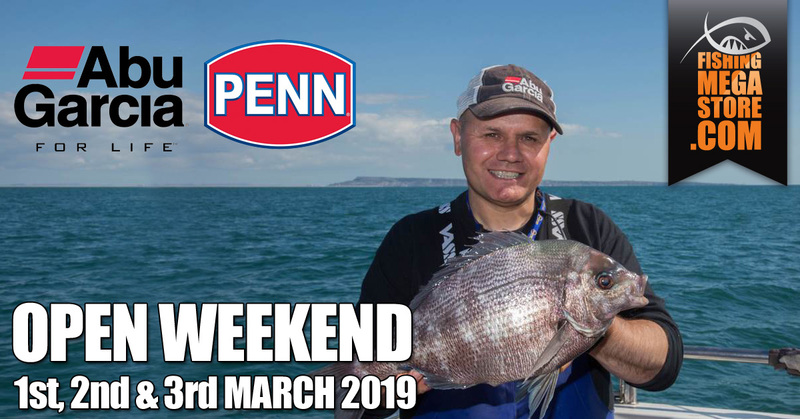 With FREE parking and FREE entry, there will be loads of things to see and do, as well as some amazing bargains on all types of fishing tackle. Keep an eye out on Facebook, Twitter and instore for more info on what's going on at the event! Plus don't forget to register for your FREE GIFT! Click HERE for details! 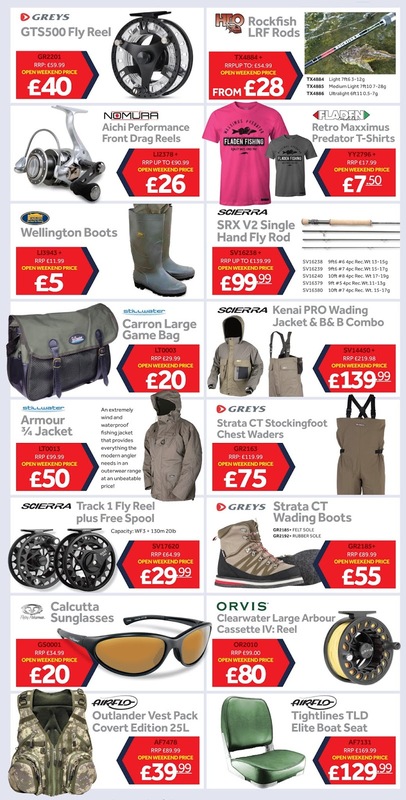 Posted by Fishingmegastore at 15:48 0 Comments - Click Here to Comment! Phil has represented England in international competitions since he was 15 years old, and has managed two Youth World Caps, two European Caps, three Commonwealth Caps, five Loch Style International Caps, and two River International Caps etc. He was captain for the England River Team, and he continues to impress with his ability to catch fish under the most extreme and difficult circumstances. 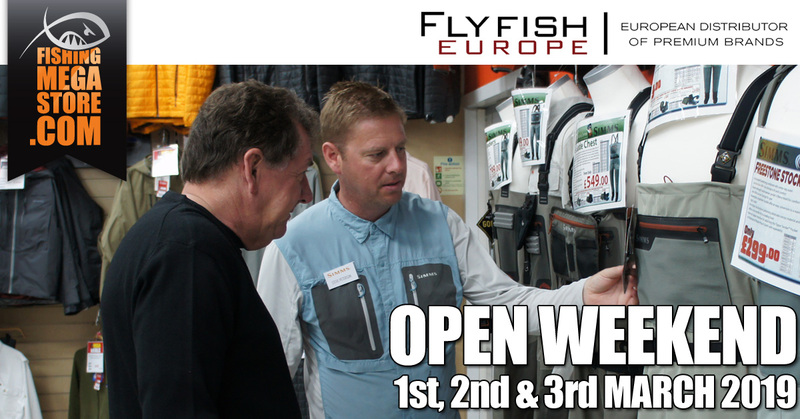 Phil will be available during the Open Weekend to promote the Scierra range of products and clothing as well as the new Traxion 1 and Traxion 3 Fly Reels, new Scierra Luggage, Fusion Tech Wading Jacket and the new Scierra SRX V2 Fly Rod. 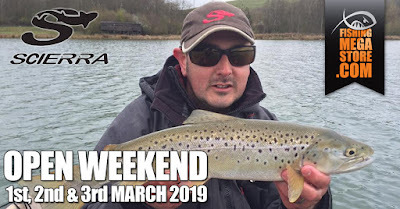 You will also be able to try out some of the new Scierra gear under the watchful eye of Phil himself, and he will be available to answer your questions and to offer tips about how to improve your fishing. There really is something for everyone at these events, that's why they are the biggest in Scotland - and this one promises to be the biggest ever! 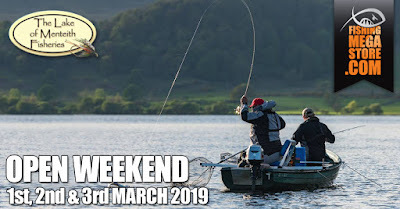 With FREE parking and FREE entry, there will be loads of things to see and do, as well as some amazing bargains on all types of fishing tackle. Keep an eye out on Facebook, Twitter and instore for more info on what's going on at this event! Plus don't forget to register for your FREE GIFT! Click HERE for details!  Posted by Fishingmegastore at 14:06 0 Comments - Click Here to Comment! Airflo are the world's leading manufacturer of solvent free fly lines and responsible for developing a series of innovations unparalleled by any other line manufacturer. While they may not have invented the fly line, innovation has been a keystone at every stage in their development. The are the originators of Polyurethane coatings, creating the first welded loops, developing low stretch cores and even the world's first density compensated fly lines. Posted by Fishingmegastore at 12:17 0 Comments - Click Here to Comment! We are pleased to announce that Fly Fish Europe will be in attendance at the GAC March 2019 Open Weekend. Fly Fish Europe is the leading distributor of premium fishing brands including Simms, Scott Rods, Scientific Anglers lines and Many more. 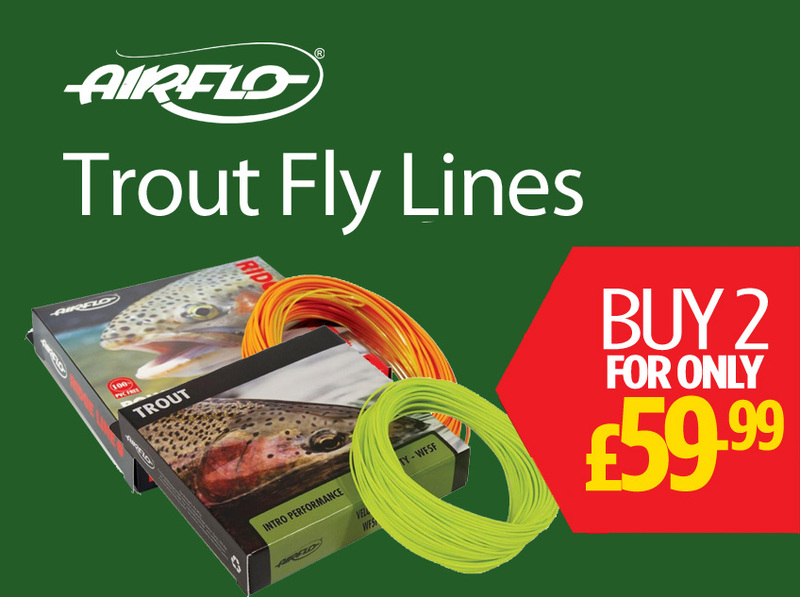 Their mission is to equip you with gear that allows you to fulfil your potential as an fly angler. In attendance at the open weekend for FFU will be Steve Peterson. 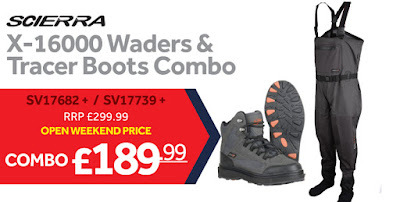 Steve will be promoting the Simms' new Freestone Waders and Simms' new Tributary Waders and Wading boots. You will more than likely find Steve next to the Simms clothing at the rear of the store. Steve knows the brands he represents inside out, and he's been to the home of Simms many times for training. He can answer all of the weird and wonderful questions that you have about the waders, jackets, layering, GoreTex, as well as talk you through Waterworks and Lamson Fly Reels, Scientific Anglers Fly Lines, C&F Design Fly Fishing Accessories and more. 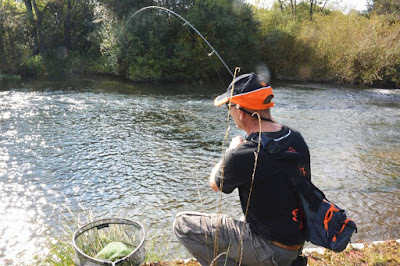 As well as being able to advise you on any of the products in the Fly Fish Europe portfolio, Steve also happens to be a excellent caster and is qualified to AAPGAI master instructor in both Salmon and Trout, and is also certified FFF CCI. He can watch your casting and can help identify any problems with your technique and offer you solutions to iron out any faults. Posted by Fishingmegastore at 10:27 0 Comments - Click Here to Comment!  From Shooting Heads, to fly reels; salmon rods to Waders, Guideline have been at the forefront of Fly Fishing tackle since 1991 when the brand was officially registered. Since then it has gone on from strength to strength to become one of the most prestigious fly fishing brands in the UK and continue to develop high-end products in conjunction with some of the best fishermen in the world. 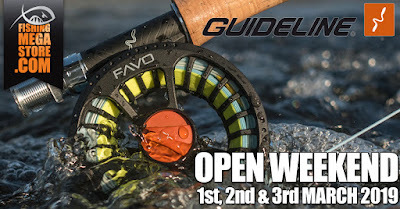 At the March 2019 Open Weekend, we are delighted to announce that Jim Curry and Stevie Munn will be representing Guideline, promoting all the new gear including Favo Reels, Fario NT8 Fly Rods and ULS Hybrid Fly Rods as well as advising customers about all aspects of fly fishing and casting. 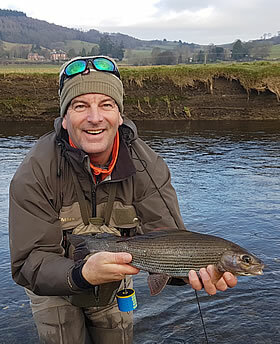 Jim is the Guideline Sales Agent for the UK and Ireland and runs the Yorkshire Fly Fishing School in Northern England, offering tuition on the stunning rivers and lakes of Yorkshire. 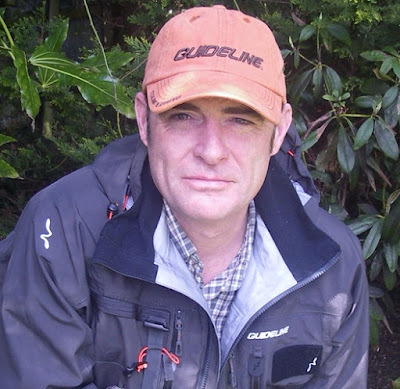 Jim is also a trout and salmon instructor with over 20 years experience, and a senior assessor of AAPGAI instructors. Jim will be doing fly casting demonstrations throughout the Open Weekend and be on hand to answer your questions and can help with your casting faults. Stevie Munn is a member of the Guideline Pro Team and teaches fly fishing, fly casting and fly tying to all levels from beginner to advanced. He is also a qualified Advanced Professional Game Angling Instructor in fly tying and fly casting with APGAI Ireland and runs the Irish Fly Fair. 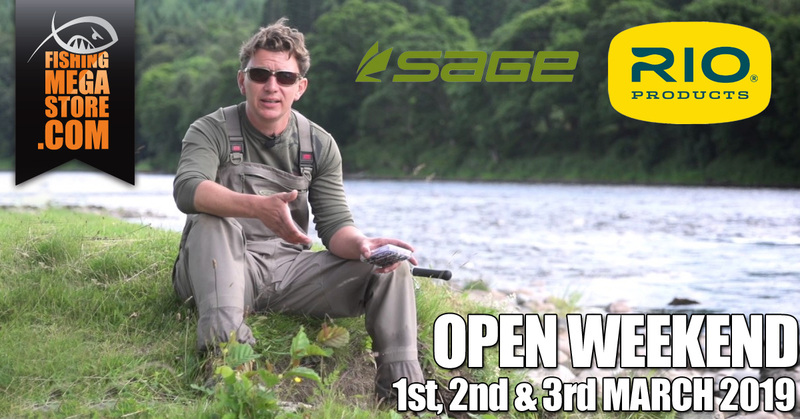 Stevie will be on hand during the Open Weekend to offer help and advice to all fly anglers and to answer your questions about casting, fly tying, and fly fishing in general. So if you want to Improve your casting or learn to improve your fly fishing, don't miss this chance to meet Jim and Stevie to learn all the latest tips and techniques and to learn about the amazing products in the Guideline range. With FREE parking and FREE entry, there will be loads of things to see and do as well as some amazing bargains on all types of fishing tackle. Keep an eye out on Facebook, Twitter and instore for more info on what's going on at this event! Plus don't forget to register for your FREE GIFT ... Click here for details! 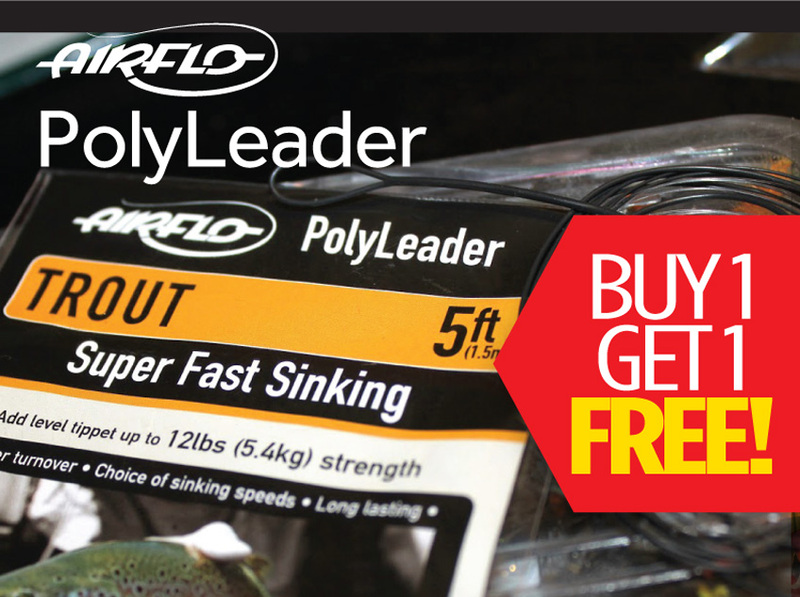 Posted by Fishingmegastore at 16:15 0 Comments - Click Here to Comment! 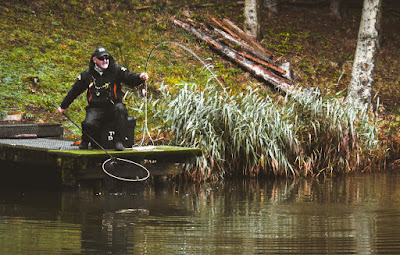 Paul Garner is a life-long angler based in the West Midlands, effectively dead centre in the UK. He manages to combine his passions for angling, photography and travel into a dream occupation. Having gained a Doctorate in Fisheries Ecology from the University of Birmingham in 1997, Dr Paul Garner has published numerous scientific papers on the behaviour of coarse fish in several peer-review journals. 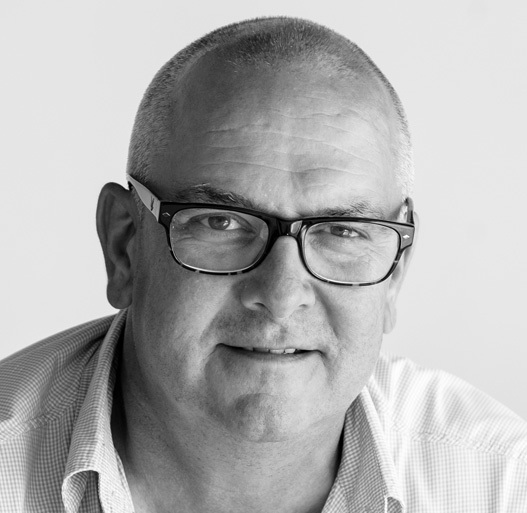 For over fourteen years Paul has worked in the fishing tackle industry as a Brand Manager, Marketing Director, Product Director and International Sales and Marketing Director for several companies. In late 2009 he decided to establish his own company and has since worked in a variety of roles, with numerous companies, both large and small. Currently, Paul works for Pikepro and Baitbox. 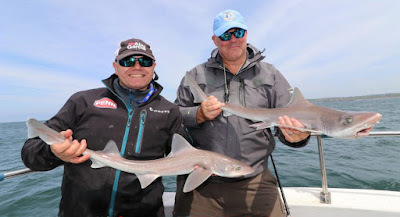 He loves to share his passion for fishing and has contributed well over half a million words to most of the leading fishing magazines and websites around Europe, including weekly columns for both Anglers Mail in the past and currently Angling Times in the UK. 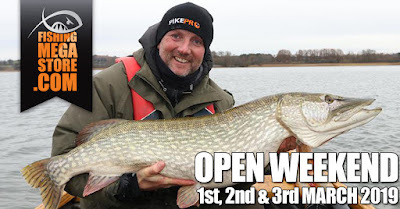 Come and meet Paul at the March 2019 Open Weekend where he can offer you help and advice on how to catch bigger predators, baiting strategy, rig tying, tactics and much more. With his wealth of experience and knowledge, you are guaranteed to learn something new that will help you catch more fish and get more pleasure from fishing. Posted by Fishingmegastore at 14:37 0 Comments - Click Here to Comment! World record caster, Welsh internationalist, TV presenter and now Daiwa consultant, Hywel is a well known face in the angling community and will be in store on the 1st, 2nd and 3rd of the March 2019 Open Weekend to give tips and advice on all types of fly fishing and casting problems as well as demonstrating the latest casting techniques. Hywel first wet a line when he was two and a half years of age and spent his years fishing the Rivers Teifi and Ystwyth for wild brown trout and sea trout. Since then he has fished extensively throughout the UK, Europe, Australia and in the USA. Having been successful in the casting scene, Hywel decided to return to fishing. He has represented Wales on twelve occasions (and has been captain for his country three times). Six times were at home internationals, where he was Top Rod on three occasions. The other six were at World Championships, where he captained the Welsh team to a silver medal in Ireland in 1995 and was a member of the silver medal winning team at England 2000. Individually he has been one of the most successful competitors from all the home countries, gaining results in silver, 4th, 7th and 10th places. 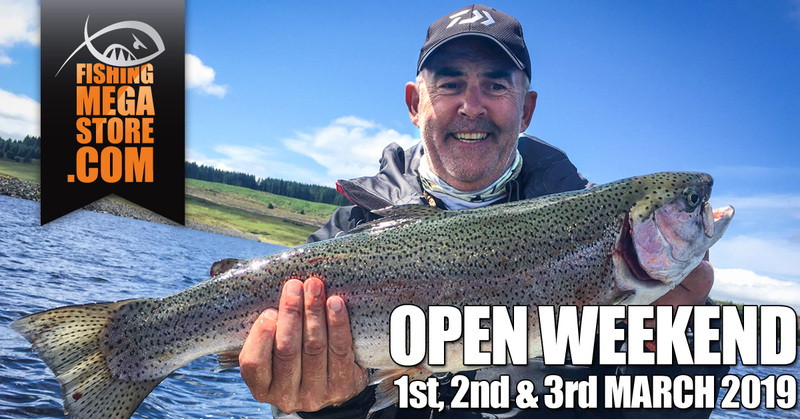 So if you want to know anything about casting or fly fishing, come and meet Hywel at the Open Weekend. 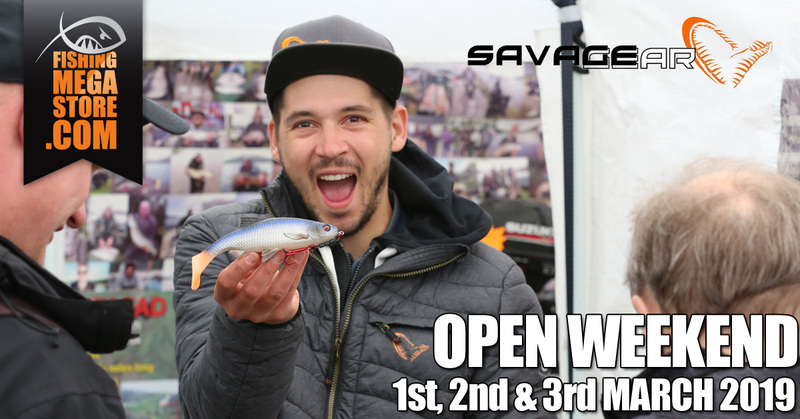 With FREE parking and FREE entry, there will be loads of things to see and do as well as some amazing bargains on all types of fishing tackle. Keep an eye out on Facebook, Twitter and instore for more info on what's going on at this event! Plus don't forget to register for your FREE GIFT ... Click here for details! 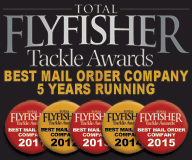 Posted by Fishingmegastore at 13:46 0 Comments - Click Here to Comment! 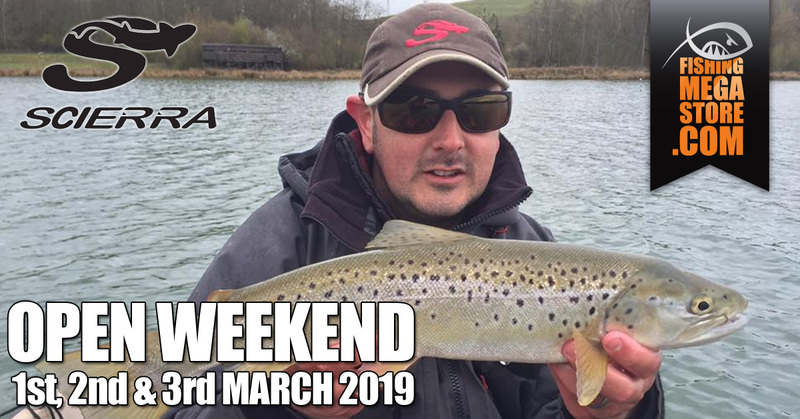 GAC March Open Weekend 2019 - Fly Tyers Row Confirmed! Fly tying is always a big attraction at the Glasgow Angling Centre Open Weekend. From the 1st to the 3rd of March 2019, budding tiers, eager to learn all the latest skills, flock to our famous 'fly tyer's row' to watch the masters in action, and to get a close-up of how to execute a variety of techniques. 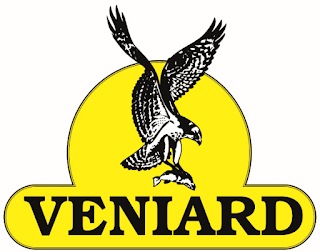 Our new improved instore format will be bringing you some of the UK's top fly tyers, sponsored as always by Veniard and supported by Partridge of Redditch and Fulling Mill - making this the premier fly tying event in Scotland! This time around we are focusing on quality not quantity. 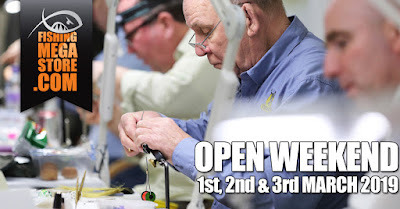 All of these fly dressers are at the very top of their game and will gladly go out of their way to show you how to perform the latest techniques and how to tie any style of fly you can think of. 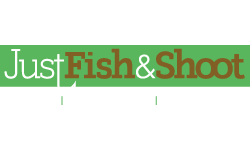 They will even take the time to guide you round our massive fly tying department during their scheduled 'floor time', helping you to choose the right equipment and best fly tying materials and fly tying tools from our extensive range. You can also take advantage of some great deals on hooks and materials as well as a few new product launches over the weekend. Born in England, Barry Ord Clarke is an internationally acclaimed and much published photographer and writer. His work as a fly fishing photographer has taken him to over 40 different countries and 4 continents. He is a regular contributor to numerous fishing magazines world wide. He has written, Co written and contributed to more than 35 books about fly tying. 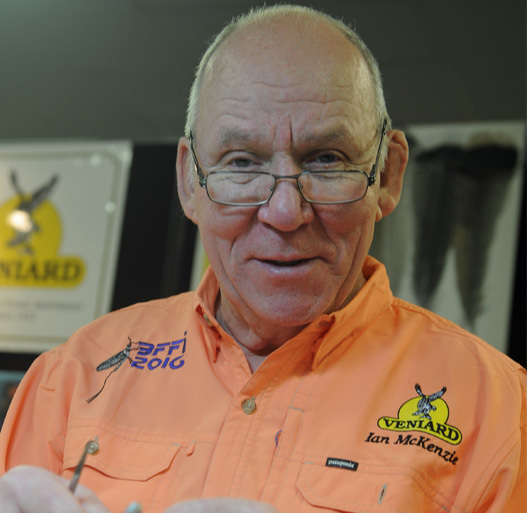 He has won medals in some of the world's most prestigious fly tying competitions, and his own flies can be seen in the 'Fly fishers club' collection in London and soon in the ‘Catskill master fly collection’ in the United States. For the past twenty years he has lived in Norway where he works as a professional photographer and a fly tying consultant for The Mustad Hook Company. Barry’s fly tying blog, the feather bender, has nearly 6000 followers and over 2000 visitors per day! Darryl is the UK and Ireland Sales Director for Partridge of Redditch and has been tying for over 36 years. He grew up fishing for wild brownies on his local River Lagan in Northern Ireland and this remains his passion to this day.  A committed advocate of catch and release, he has a particular interest in all aspects of Euro Nymphing and will be demonstrating tying his Woven Czech Nymphs as well as being on hand to offer advice on the range of Partridge Hooks and Sprite Hooks on all three days. Ian Mckenzie retired from the position of Technical Manager at Fulling Mill after 17 years at the end of 2010. His position involved developing new patterns, turning people’s ideas into commercial propositions, sourcing all necessary materials & hooks, tying samples, and maintaining quality standards. Since his retirement he has continued tying flies for personal customers and has even found time to tie some for himself. An enthusiastic fisherman since the age of 10, living close to and fishing the Thames but graduating to fly fishing for Trout at Weirwood Reservoir in Sussex at 18, and subsequently fishing around the UK for trout, salmon, and Grayling, Ian has been tying his own flies for the last 40 years. Recently he has also taken to fishing for Carp on the fly – great fun! 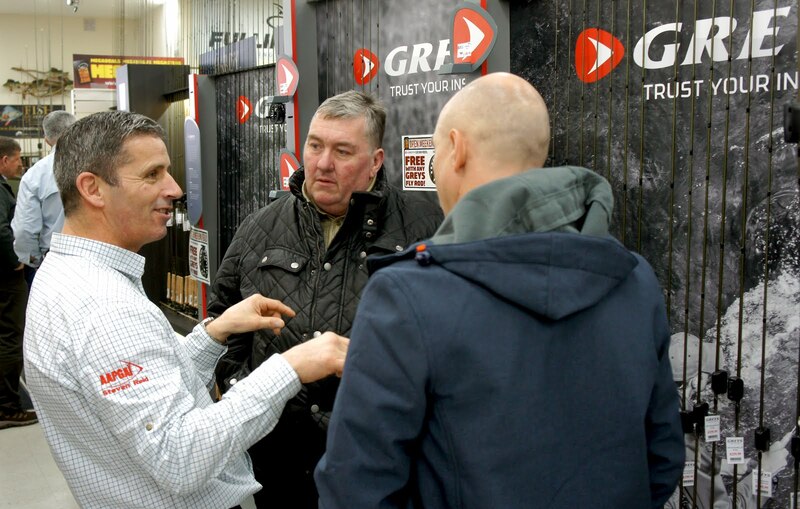 Ian looks forward to meeting many tyers at the March 2019 show and will be happy to spend time with anybody who has specific problems and needs a some advice. 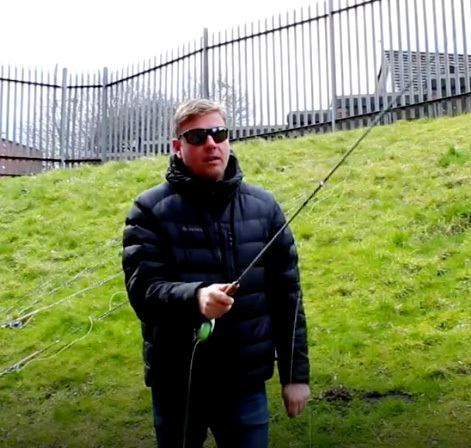 Living in Kilwinning, North Ayrshire, Paul started fly fishing at the age of 11, tying his first flies almost as soon as he picked up his fly rod. The obsession began with rainbow trout fishing then progressed on to fly fishing for salmon on the spate rivers around Ayrshire. As the obsession grew so did the species and the destinations: Bonefish fishing in Mexico, Hawaii, Christmas Island, and the Bahamas to fly fishing for wild brown trout and Pollack in the north of Scotland. These days most of his time is now spent chasing pike on the fly. 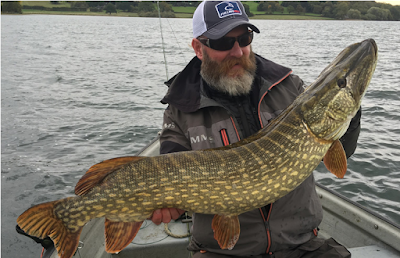 Enjoying all aspects of fly fishing for pike from fishing the huge wild waters of Scotland or walking the lengths of a Fenland drain or river, but his real passion is hunting monster pike on the southern trout reservoirs. To date, Paul's landed four pike over the magical 30lb mark on the fly, the biggest being 36lb in weight. The obsession with pike has lead him to designing a whole series of flies that are fit for purpose. He has also been a long standing member of the pike fly fishing association. This has seen him hold the role off Scotland RO and most recently take on the position as chairman. Pike fly fishing is a huge part of his life and he now find himself travelling further afield to satisfy his pike obsession, with the northern pike of Canada are firmly set in his sights. Paul is very excited about working along side such a well established company as Fulling Mill and looks forward to passing on his pike fly fishing knowledge. The first pike flies that will be available are his go-to patterns that has landed himself and friends many large pike. Tim started fly fishing about 6 years ago and got hooked from day one. He's fished in Iceland and Bosnia and is a frequent visitor to the River Annan, River Clyde in Scotland. He is also a regular visitor on the Upper Severn, Upper Dee and the River Vyrnwy. Tim has achieved a very high standard and is particularly competent at tying Trout flies. Notably, he has won a number of fly tying competitions in both The Fly Dressers Guild and Fly Fishing & Fly Tying magazine. His passion is tying small river flies and Grayling Nymphs, and during the Open Weekend, Tim will share his knowledge and skill so you can improve your own tying. 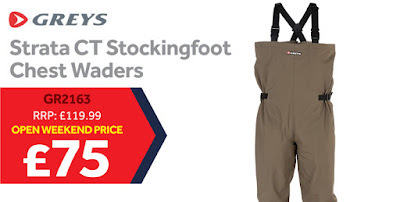 Posted by Fishingmegastore at 11:25 0 Comments - Click Here to Comment!